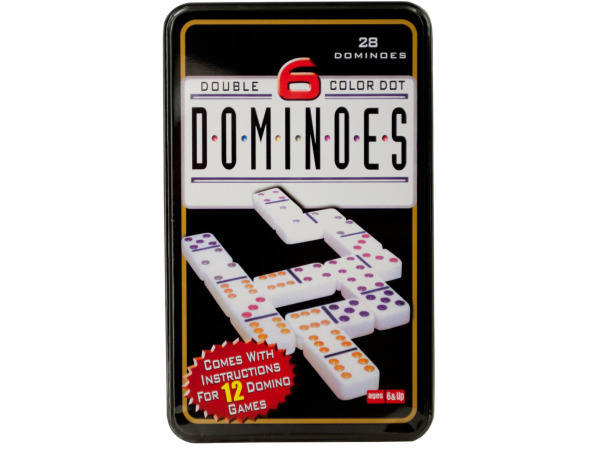 A fun twist on the classic game, this 28-piece Double-Six Color Dot Dominoes Game Set features domino pieces with colored dots in a durable metal box. For ages 6 and up. Comes shrink wrapped. 2 pcs. 4 pcs. 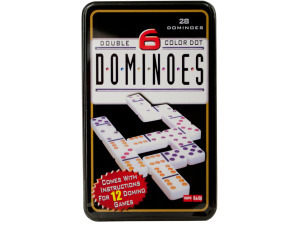 6 pcs. 8 pcs. 12 pcs.